We research the pain points consumers face daily to identify opportunities for improvement. Our solutions begins with the user. We identify the core values that our products provide and design engaging experiences to surface them. Not all languages and frameworks are equal, so we select the best technology to support the experience we look to create for all channels. Digital solutions for everyday problems. Our apps leverage the latest technologies including machine learning, natural language processing, and big data. I own a clothing web site this is a great app to have for my customer and myself! Let StyleKey automatically put your store and your items in front of the right people. StyleKey will connect your store with shoppers who would love your products but didn't know you existed. Receive more visitors with referrals coming from StyleKey. Greater customer confidence through personalized fit instructions means shoppers will buy more. 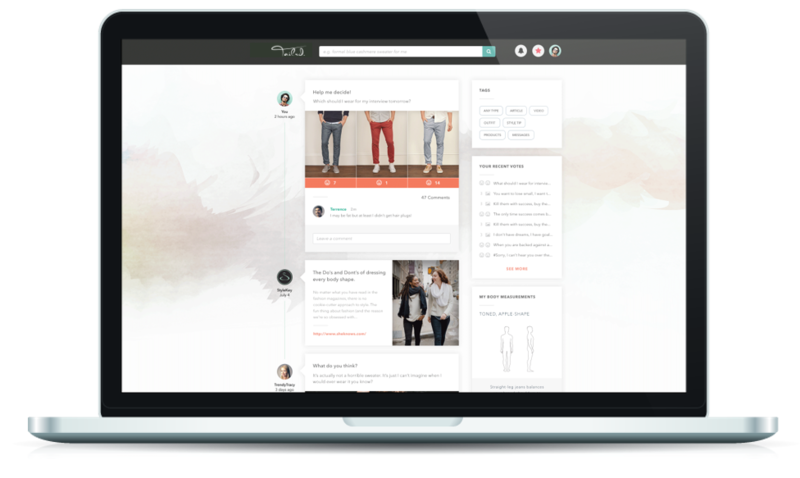 StyleKey is a plug-in for your Shopify clothing and apparel store that enables you to target and market customers more effectively and provide your shoppers with a personalized experience. Tailrd. is your digital profile for clothing retail. Create a profile with your measurements and style personality and let Tailrd. show you the best places to shop no matter what your style or body type! Based on your profile, Tailrd. finds items that fit your size and style and then shows you where to buy them. No more wasted time looking for the perfect item! Tailrd. will provide you with personalized fit information so that you have no doubt about what you're buying! We'll even give you tips on how to best wear the item based on your style and body type. If you're unsure about the item you've found, easily reach out to your social network to get their thoughts. Also, connect with stylists on Tailrd for FREE to receive outfit suggestions and tips on which looks work. Gift giving is now easy. Tailrd will show you products that fit your special someone's size and style. You can also delight them by grabbing something they shared on their wishlist.